The inner journey of discovery leads to a sense of profound joy. Hence the tear shape of the overall carving. This inner journey is represented by the Koru flowing into towards the centre of the eye. There are six koru in the front design. These koru represent blessings upon our five physical senses and the six koru represents our 'sixth sense', our intuitive knowledge. That which knows right from wrong. It is our connection to deeper truth. The markings in between the koru represent that which connects us to all things. 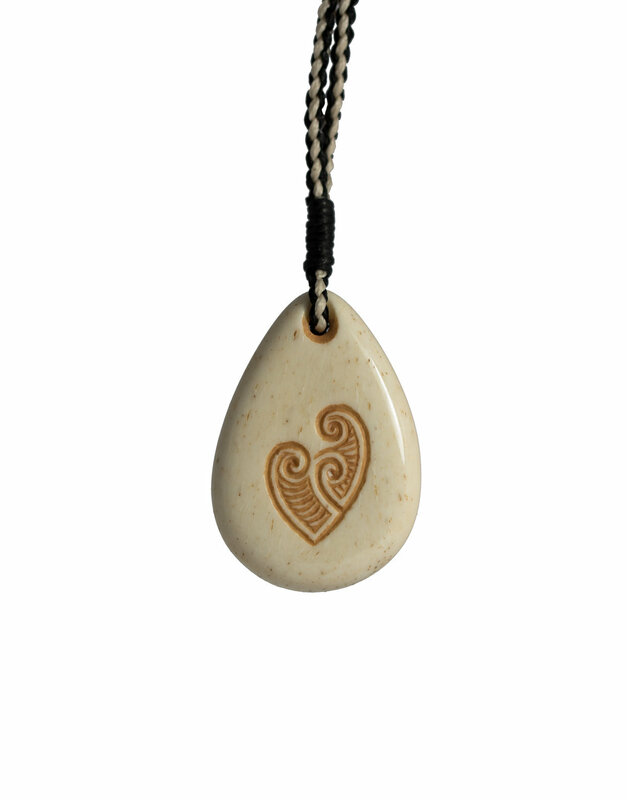 Hidden on the back of the carving is a stylised heart made up of three koru. This represents blessings upon our body, speech, and mind. The koru symbol is common in New Zealand and is inspired by the unfurling of the new fern fronds. Meanings associated with this are new growth, new beginnings, and spiritual awakening. Hidden on the back of the carving is a stylised heart made up of three koru. This represents blessings upon our body, speech, and mind.